Frank Bascombe is a self-confessed “old man” who, at sixty-eight, has entered the closing chapters of his life and spends much of his free time – which he has plenty of, having retired from the real estate business – pondering the reality of his situation. He’s come to grips with his frailer state – now a mere tumble from death, whereas years earlier such a fall would result only in embarrassment – and has begun a process he refers to as “gradual subtraction;” he has removed redundant words from his vocabulary, allowed friends to wander out of his sphere of cognizance, and streamlined his life into modest – overwhelmingly so – undertakings. LET ME BE FRANK WITH YOU is the portrait of an emotionally detached, overtly stoic individual; the final touches, perhaps, of a canvas started decades ago with THE SPORTSWRITER. Richard Ford deftly unravels Frank’s thoughts through four linked stories, all of which emphasize various elements of his protagonist’s life as a retiree. The devastating effects of Hurricane Sandy play a key role in proceedings, so too the election of President Obama; this is inherently an American novel, steeped in its culture and recent happenings. LET ME BE FRANK WITH YOU is deeply nuanced and effective at displaying the complexities of a human being. Mr. Bascombe is more than 40 years my senior, and though I can’t relate to all of his thoughts and experiences, I’m empathetic for the man, despite his callousness and perpetual taciturnity. If you’ve journeyed with Frank this far, this is a must-read. 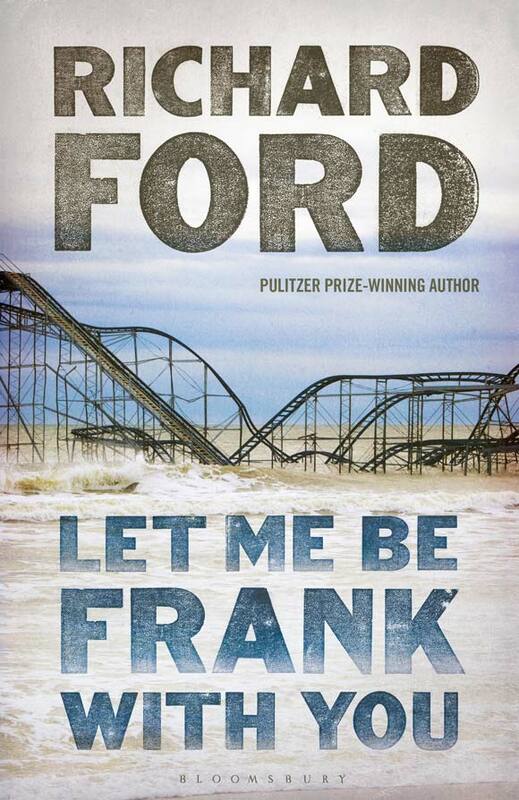 For those starting out, LET ME BE FRANK WITH YOU serves as a tasty introduction, but barely scratches the surface on a character who’ll long be remembered in literature as a chronicler of middle-class American life.